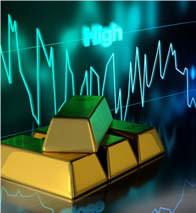 Gold has been quietly rising in price, and enjoyed its fifth consecutive month of gains in May. The yellow metal, viewed by many investors as a ‘safe haven’ asset, has risen by some 12% since its December 2016 lows and now sits at US$1,265 per ounce. That said, it remains some distance from its all-time high of US$1,900, recorded in September 2011. Aside from investors seeking its ‘safe haven’ qualities, recent price strength owes much to a weaker US dollar: a softer dollar, the currency in which gold is denominated, makes gold cheaper for non-dollar buyers. It has also been helped by Trump’s political troubles.